Born at Cranbrook, British Columbia on 3 October 1921, son of Watson Smythe Hall and Ella Leitch, during the Second World War, he served overseas as a Lieutenant with the First Canadian Parachute Battalion. Enrolling in the Manitoba Law School in 1945, he articled with Paul G. DuVal and was called to the Manitoba Bar in 1948. He practiced law with the firm of Guy, Chappel, DuVal & Wilson from 1948 to 1956 and with Thompson, Dilts, Jones, Hall & Dewar from 1956 to 1965. Appointed a Queen’s Counsel in 1960, he became a Justice of the Manitoba Court of Queen’s Bench in 1965 and was elevated to the Court of Appeal in 1971. In 1982, he was asked to review salaries for city councillors and MLAs and, in 1985, to recommend changes to the federal grain transportation payment system. In 1986, he reviewed electoral boundaries in Manitoba. Retiring as a judge in 1989, he joined the law firm of Taylor McCaffrey Chapman Sigurdson. On 26 June 1944, he married Agnes Margaret Rife of St. Paul, Minnesota, at Regina, Saskatchewan. They had one daughter, Nancy Hall (wife of David King), and two sons, David Hall and Douglas Hall. 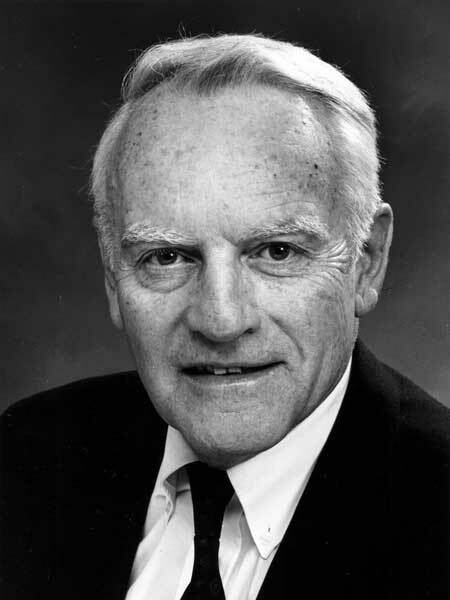 He served as Chair of the Board of the Winnipeg Foundation, Director and Chairman of the Manitoba Institute of Cell Biology, Founder and first President of the Canadian Judge’s Conference, Director of the Vintage Locomotive Society, and a founding Director of the Canadian Nature Federation. He was a member of St. Andrew’s River Heights United Church and St. Charles Country Club. He died of cancer at Winnipeg on 25 October 1990. “Hall served on bench, chaired reviews,” Winnipeg Free Press, 26 October 1990, page 11. Obituary, Winnipeg Free Press, 28 October 1990, page 24. We thank Richard Hall for providing additional information used here.